I’ve been absent for two quizzes and it’s been a problem of mine ever since to keep on procrastinating on my responsibilities. I have this habit of being a perfectionist. I believe in my mind that things can be done, I am quite confident with my abilities, but the problem is that I don’t have enough willpower and discipline to stick to something till the end and just do what I have to do immediately. I know that I easily get distracted whenever I find new endeavors. I had a very bad academic term last time because I got addicted to this “certain” hobby (I won’t share it as not to give clues to my identity :p). Good thing though, I achieved my goal on this endeavor. Because of my passion and dedication–or addiction–I became a champion in it, which actually gave me starting funds to use for my business ventures. With my garnered funds (50k), I decided to start my online stock trading account. I then used my money from my bank account and raised funds from an investor to make my portfolio reach 200k–the required account equity value in order to avail for their Margin Accounts. Why did I register for the margin account? Even though I am a total newbie in the world of stocks, my experience in this certain brokerage gave me an overview of the market. I basically watched the market and worked with our salestraders and our dealers. From what I see there are certain opportunities that are like “no-brainer” deals, that we can capitalize on. So I use the margin account for short to medium term trade positions. If you do not have the patience then chances are the entry price (buying) of your stocks are a bit off, likewise, the same applies to your exit (sell) price. I’ve learned this countless of times, I’ve day traded good stocks on their initial runs such as RLC and AGI. Bough RLC at 12.40, sold at 13.00+ then bought again at 13.20 then sold at 13.80, bought again at 13.14 sold at 13.92) Yes, I was able to accumulate some profit, but the problem was my position during that time was only about 10-13k so my profits were little. I learned that it would have been better if I just positioned early (just like my first entry at 12.40) and increased my holdings for RLC then I should’ve reaped more profits by now–It is trading at 14.70-15.20 levels at this time. Proper Analysis and Patience. Sometimes we tend to get impatient and we decide to either buy or sell at premature stages. I’ve had lots of experience with this since I am still on the learning process. I saw BHI being bought by big brokers, then I saw that volume was high, it was trading at 1.67 so I bought at 1.70, after a while it surged to 1.80. A day or two, it surged to 0.185-0.187. It reached .187 then went back to 0.185, then I decided to sell at 0.185, thinking that it would just go down. I didn’t put into consideration the volume during the accumulation stage–meaning, something must really be up on this stock. After I sold, it surged to .210 after a while. Another wrong move for me.. sigh. 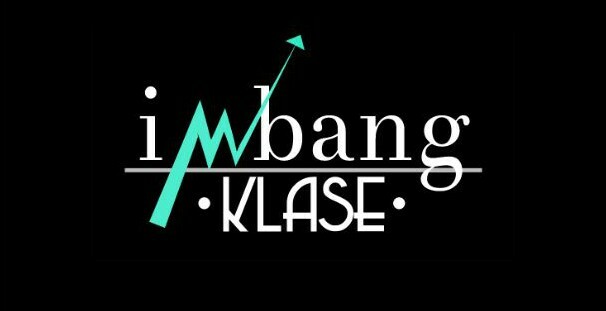 This entry was posted in Imbang Klase's Adventures on February 10, 2012 by imbangklase. hi sir JC kmusta po. im a invetagram member since mid january this year.at maraming salamat po at marami ako natutunan sa inyo. from charting sesions and quotes/advise na binibigay nyo po. Na inspire po tlaga ako nung nabasa ko tong blog mo nung nag start ka plang. in your few months of trading nag gains ka na agad. nag work out na.after a yer 50% ka sa port mo. kabaliktaran kasi sa mga nabasa at narining ko na it takes years bago ka matuto at mag gain portfolio wise. ask ko lng sir do you study stocks trading right on the time na nag actual trade ka na o nag study kana before like you read books at paper trades years before or months before you do actual trading. Hi Ryan, I studied a bit before starting, pero mainly on going process yun.. so habang nag-simula na ako ng actual trading nag aaral parin ako.